United Torah Judaism MK blasts the fact that police officers have not been arrested for violence during protests. 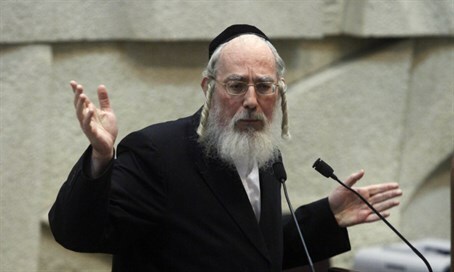 MK Yisrael Eichler (United Torah Judaism) had harsh criticism for the Israel Police on Monday at a discussion in the Knesset on police violence against Israelis during protests, searches of detainees and even while handing out traffic tickets. Eichler related specifically to police violence against the haredi community which, he claimed, routinely takes place and not only during demonstrations. He referred to the recent incident in Beit Shemesh, where a haredi yeshiva student was brutally beaten by a traffic policeman.